La La Land is nominated for 14 Oscars, and one of them could go to Damien Chazelle for best director. An interesting mock trailer from Cinefix shows what it would look like if it was directed by David Lynch. If you’ve seen La La Land, then you know that the atmosphere of that movie is quite cheery. And if you’ve watched any of David Lynch’s movies, you know they are way different. This mock trailer shows how important editing is, and how a different director and tone can change the entire concept. From a bitter-sweet love story, it turns into a dark and twisted drama. The trailer uses cuts from the movie, but it mixes them up in a different way and a different order. With an addition of dark and ominous music, even the bits from the original songs sound gloomy and scary. From two lovers, Ryan Gosling and Emma Stone begin to appear as a stalker and his victim. It seems like a movie that would make you bite your fingernails all the way through it. 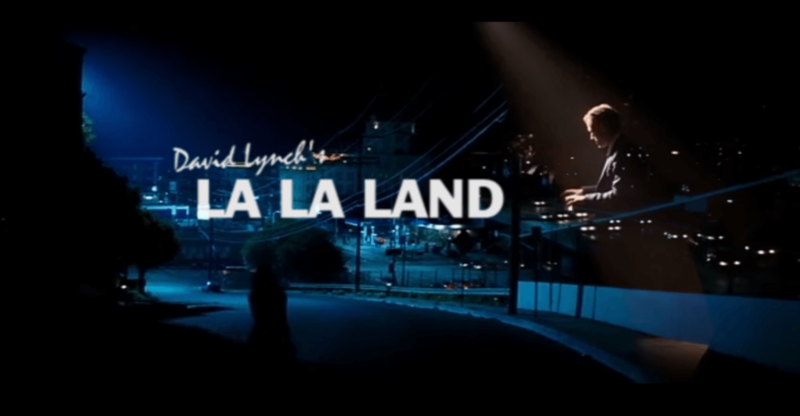 In case you’ve missed watching La La Land, here’s the original trailer so you can compare. What do you think? Does the mock trailer have that “Lynchian” mood in it? What do you think contributed the most to making it seem so different from the original story?